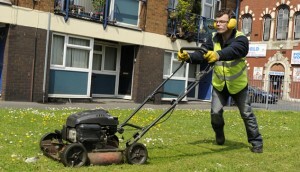 Maintaining our properties is hugely important to us at APH and we share that responsibility with our tenants. Our own in-house Estate Services along with external contractors, continually monitor the condition of our stock of over 900 homes across our two estates. We carry out daily, weekly and seasonal repairs as programmed maintenance projects. We understand that some repairs are emergencies and promise to attend these within 4 hours. Other less urgent repairs will be carried out within 48 hours, 7days or 28 days depending on how serious the repair might be. Our Neighbourhood Service teams provide a totally unique service for our tenants including concierge services, CCTV monitoring, communal cleaning and caretaking services. The teams are available 24 hours a day, 7 days a week to help our tenants with almost any problem they might have. We are fully committed to the Tameside Supporting People Strategy and we work in partnership with a number of agencies that provide additional support to vulnerable tenants. We also take anti-social behaviour (ASB) very seriously and we strive to protect our residents’ and neighbours’ rights to enjoy their homes and community 24/7.